Face masks were the product that first sparked my love of skincare and they're still one of my favorite skincare items to experiment with. Most recently, I've been trying out the Rejuvenate and Detox Masques* from Argillaceous Naturals, a family-run skincare and cosmetics company that sells on Amazon. 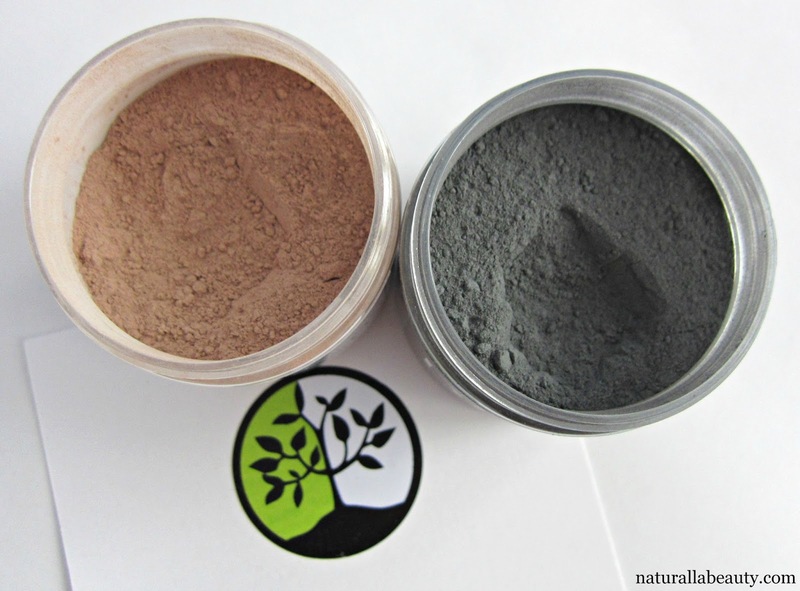 Both masks are powder products that you activate with water. You get a TON of product, and there's no need for preservatives since the masks are kept dry until each individual use. This also helps the ingredients stay extra fresh and potent, and gives the masks a longer shelf life than most pre-mixed products. The Rejuvenate Masque is a hybrid between a clay mask and a hydrating and brightening treatment. Rhassoul, one of the gentler clays, works to draw out dirt and impurities, while cucumber extract provides a dose of hydration and vitamins, and colloidal oatmeal soothes and nourishes the skin. Goat milk powder also gently exfoliates away dead skin cells and cacao and grape seed extract provide antioxidants and boost circulation. All these great ingredients come together to create a mask that simultaneously cleans and nourishes. The Rejuvenate Masque leaves my skin looking fresh, bright and healthy. It's not intensely detoxifying, but it does keep pores clear, while simultaneously adding that je ne sais quoi glow. It also smells incredible - like chocolate pudding for your face! 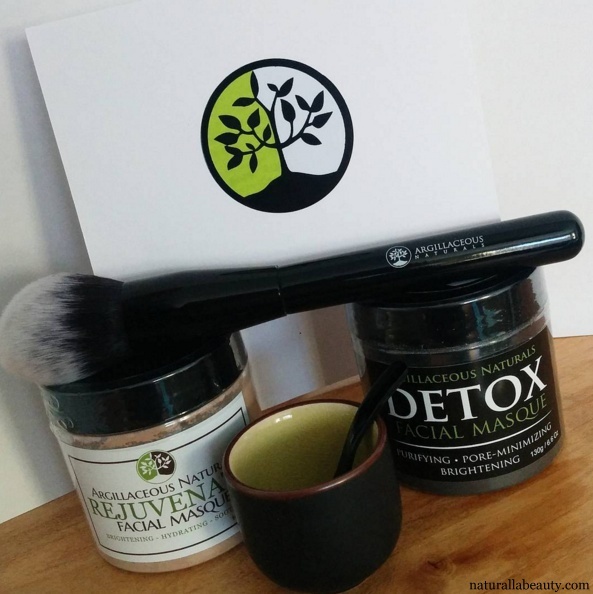 The Detox Facial Masque improves upon the traditional pairing of bentonite clay and activated charcoal by incorporating colloidal oatmeal and citric acid. A lot of clay masks will recommend mixing with apple cider vinegar, since the acidity of the vinegar works to counterbalance the extremely alkaline clay, but Argillaceous Naturals accomplishes the same thing with citric acid, so you're fine to use just water. The citric acid also helps gently slough off dead skin and debris, while colloidal oatmeal soothes skin and gently buffers the clay - without affecting its drawing power - for a mask that effectively detoxes and pulls out impurities, but won't leave skin feeling raw, chapped, or overly dry. Detox masks can sometimes be a bit much for my sensitive skin, but I haven't had any issues with this one. I do experience some minor tingling/stinging when I first apply the mask - likely caused by the citric acid - but the sensation dissipates within the first couple minutes and my skin is never irritated or inflamed when I remove the mask. A thoughtfully formulated mask, it's excellent for clearing blackheads and clogged pores without damaging or stripping the skin. I'm super impressed with both masks! The Detox Masque is a champ at addressing clogged pores and more problematic skin and the Rejuvenate Masque is a wonderful gentle treatment that noticeably brightens and refreshes. Argillaceous Naturals unfortunately only ships within the US right now, but I'm keeping my fingers crossed they'll expand shipping in the future so everyone can get their hands on these fantastic masks!